How accurate is the sound level meter or seismograph that you are using? 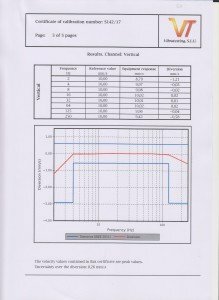 Home/Uncategorised/How accurate is the sound level meter or seismograph that you are using? worthless. Equipment’s accuracy may not be given too much consideration when making a purchase. certificate may be supplied with the sound level meter to assure the purchaser of their unit’s accuracy. may well be an additional £200 and the meter itself £2000 to £3000. 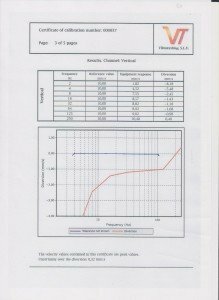 certificate of calibration will almost always accompany a newly purchased blast monitor. many UKAS accredited laboratories offering calibration of sound level meters. say, hundreds of thousands of Euros in test equipment and set up costs. up to 100Hz. The frequency response should be as linear as possible in each of the three axes. parameters necessary for accurate monitoring in compliance with methodology standards. measurements made will be far lower than the true levels of vibration actually were. resistors as a means of adjustment but this design could never achieve a linear response. manufacturer’s calibration techniques, an independent accredited laboratory should be used.